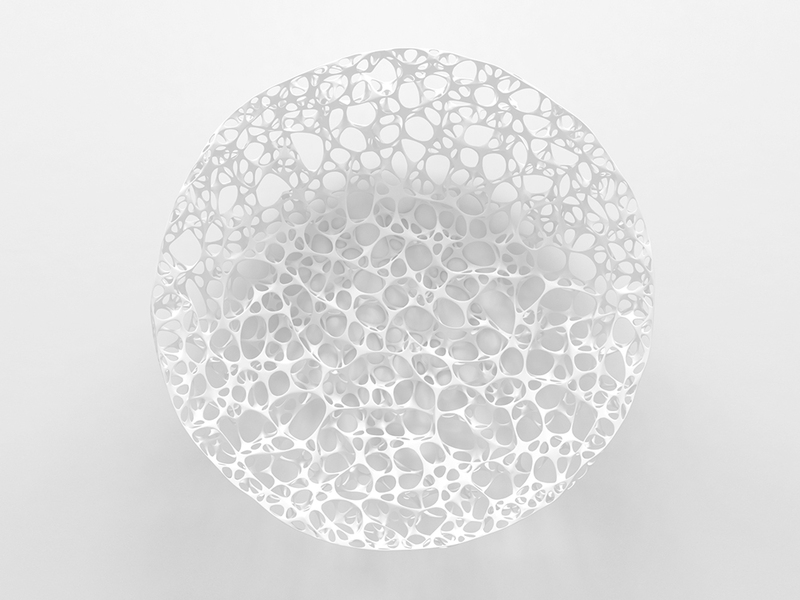 The Point To Point vessel is an object study in networked point cloud distribution systems. 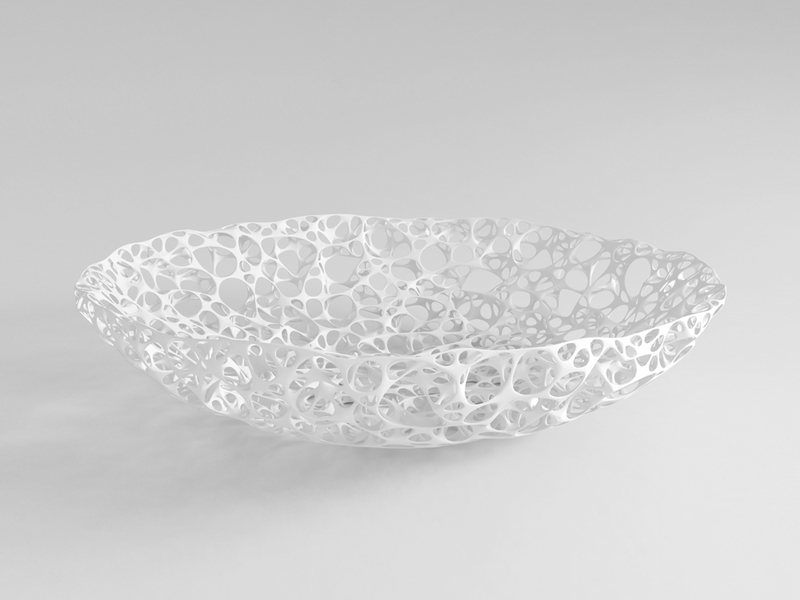 The vessel begins with a randomized point cloud placed on a defined surface which is then connected with a nearest-neighbor spline network defined by a maximum number of splines per point. The underlying spline geometry is then given a thickness and finally, laplacian smoothing is applied to the resulting mesh.